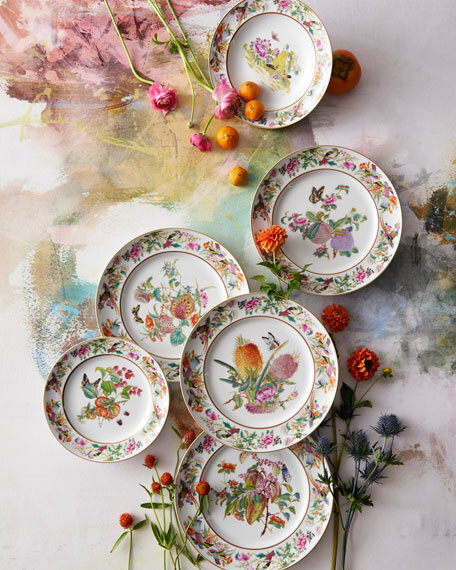 White porcelain plate. 6"Dia. Dishwasher, microwave, and freezer-to-oven safe. Designed by Constantin Wortmann. Made in Portugal. 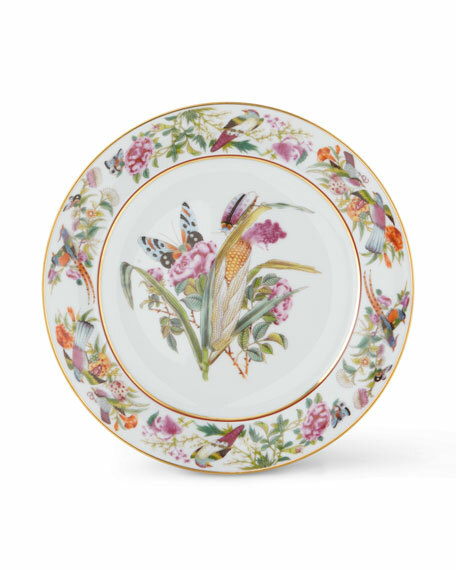 Daphne Camelia porcelain dessert plate. 24 kt. gold leaf design. 8.25" dia. Dishwasher safe. Made in France. Simple elegance in pure white French Limoges porcelain with platinum detail. 8.5"Dia. Made in France. 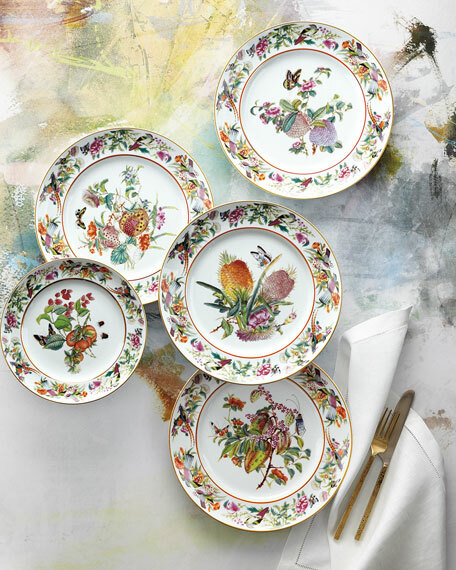 Set of four porcelain dessert plates from the Sara Miller Penguin Christmas Collection. 9" dia. Hand wash. Imported.